On May 1, 2015, an employee of the tourist company Imagine Nordkyn AS fell into in the sea in the Kjøllefjord when he moving his speed boat away from the "Lofoten". The ship turned around and plucked the man in the 40ies from the water with an MOB boat and taken aboard within a few minutes. He was stuffed with warm clothes and was taken care of. The Østfinnmark police district investigated the case . 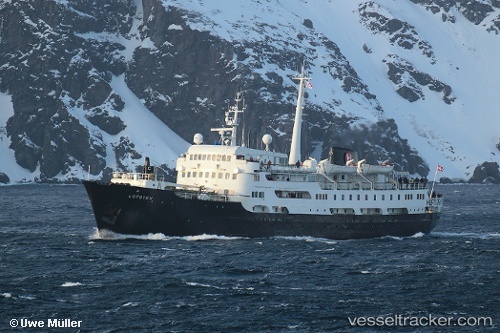 The "Lofoten" suffered a power outage in Båtsfjord in the afternoon of Jan 12, 2015. Electricians were trying to get the power back on the ship after a water pipe that cracked in the freezing cold knocked out a main board. A local firm was called to resolve the matter jointly with the crew. The "Lofoten" was sailing southbound when the trouble occurred just when the ship was about to dock in Båtsfjord. All departures to Bodo have been canceled and most passengers were sent home, while some also went on board the northbound Hurtigruten Ferry "Midnatsol" to Kirkenes.